Prepare for hugs, laughter, high fives, and tears both happy and sad. 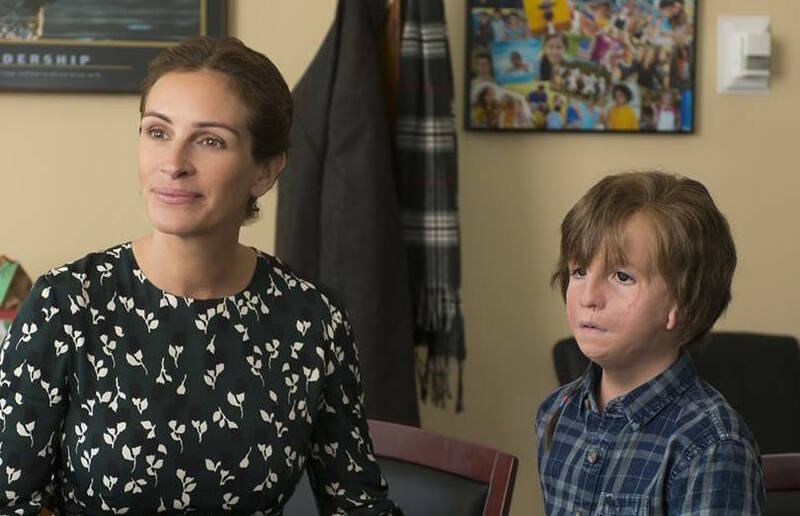 The star-studded cast includes Julia Roberts as Auggie’s mom Isabel, Owen Wilson as his dad Nate, Daveed Diggs as Auggie’s teacher Mr. Browne, and Mandy Patinkin as Mr. Tushman. Based on the book of the same name by R.J. Palacio, the film was co-written and directed by The Perks of Being a Wallflower‘s Stephen Chbosky, who wrote the coming of age novel, as well as writing and directing its film adaptation. Based on how moving Perks was, we’re cautiously optimistic that the director will be able to turn this potentially over-the-top film into something beautiful. Throughout the trailer, it’s clear that Auggie has to overcome a lot of adversity as he attempts to fit into his school and greater community with the support of his parents and sister (Izabela Vidovic), who appear to always have his back. We think it’s safe to say it’s going to be a *pretty* heartfelt film. Honestly, we’re crying already, though we probably don’t look quite as endearing doing it as Julia Roberts does on screen. Wonder hits theaters on November 17th.